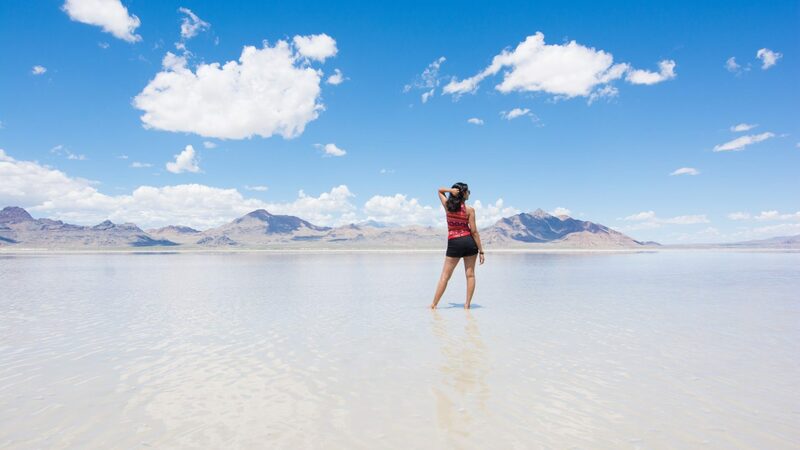 We always go by one rule, ‘Never miss a long weekend holiday’. Its Christmas holidays and Winter has taken charge early this year. So, we thought of getting away from snow and the bitter cold and head down south to warmer Texas in search of some sun and fun. 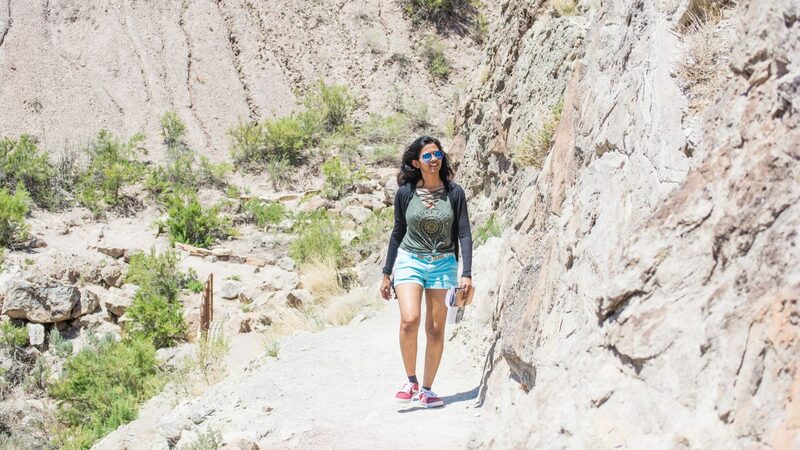 Camping at the Big Bend Ranch State Park was our main agenda. 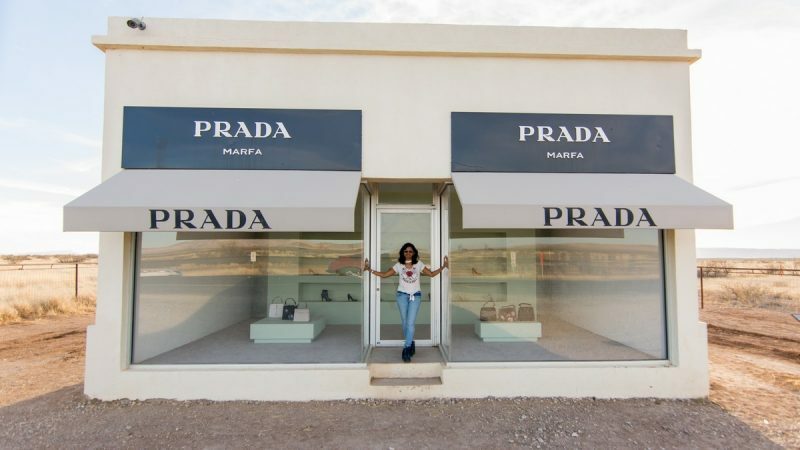 But on our way, we spent a day in Alpine, visited the fashion art installation – Prada Marfa, had best pulled pork, tried to find Marfa lights, took a scenic drive through Mt.Livermore and feasted upon delicious Marfa burritos. 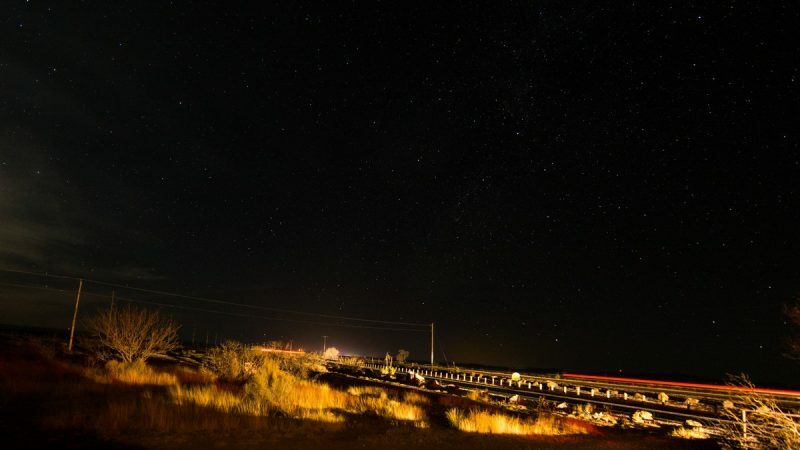 Read on to find the best of Marfa Texas. We had our room booked at Alpine, TX for the night, since hotels in Marfa were too pricey. 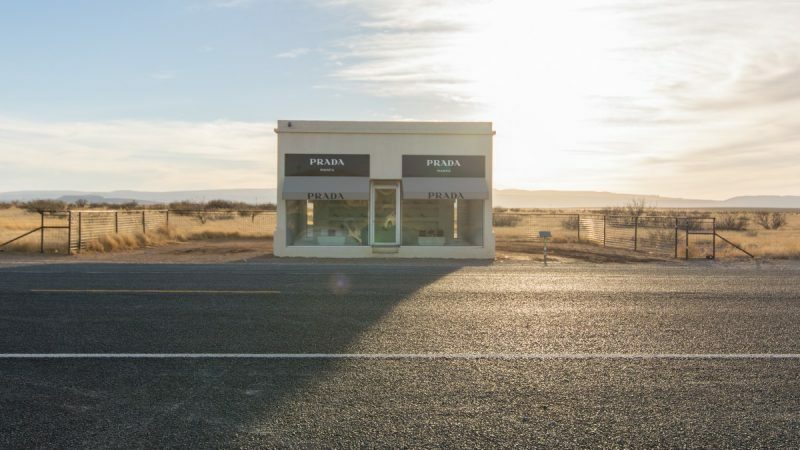 From Alpine, Prada Marfa is about 60 mile drive. Since it was a windy evening, we encountered many Tumbleweed rolling across the road which was fun to watch! Finally, we reached Prada before sunset. 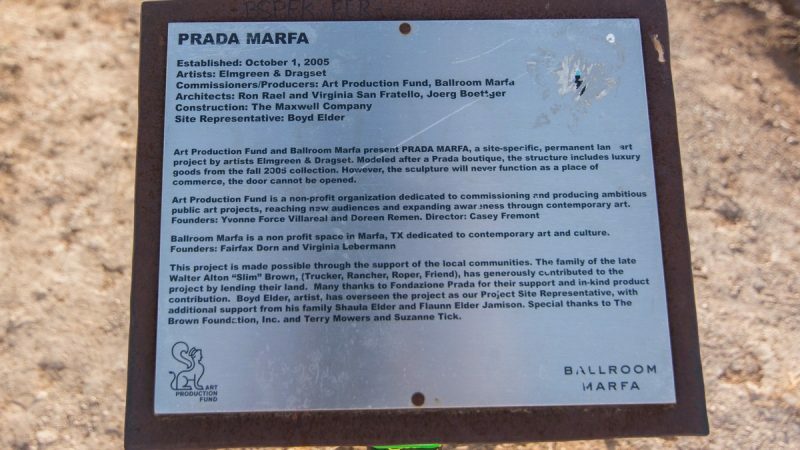 If you have not heard about Prada Marfa, let me give you the wikipedia version. 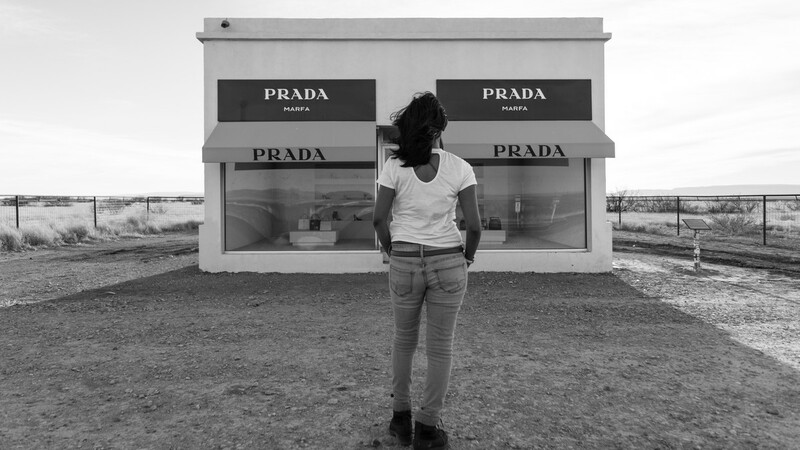 Prada Marfa is a permanently installed sculpture by artists Elmgreen and Dragest situated northwest of Valentine, Texas just off Route 90. The installation was inaugurated on October 1, 2005. The artists called the work a “pop architectural land art project”. The sculpture cost was $120,000 and was intended to never be repaired, so it might slowly degrade back into the natural landscape.This plan was deviated from when, the night the sculpture was completed, vandals graffitied the exterior, and broke into the building stealing handbags and shoes. This being hailed a pop architectural land art project and designed to resemble a Prada store with two large windows displaying Prada shoes and handbags picked out and provided by Miuccia Prada herself from the fall/winter 2005 collection. It is one of the destination, that we desired to take our picture with its background! And got it! After our photo sessions were done, we took a little scenic detour through TX-166 that connects to TX-118 from Ft.Davis to Alpine. It was a beautiful evening sunset drive through Mt.Livermore on a lonely road. I have added below a map of the route that we took. By the time we got back to Alpine, we were starving. 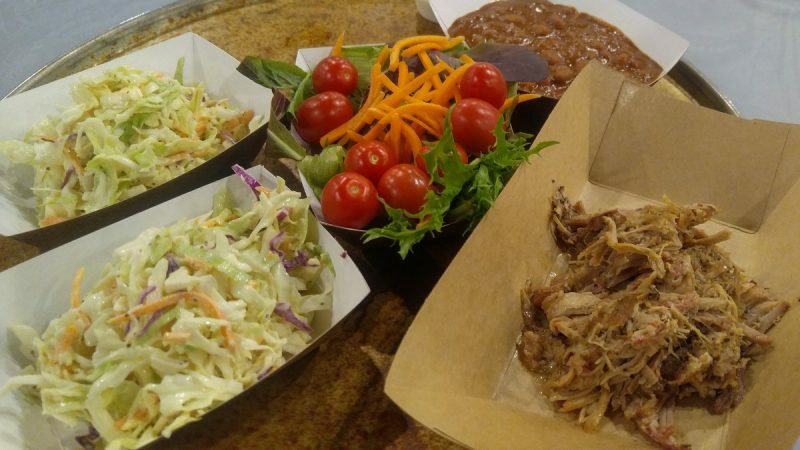 With the help of yelp, we found this wonderful BBQ place. 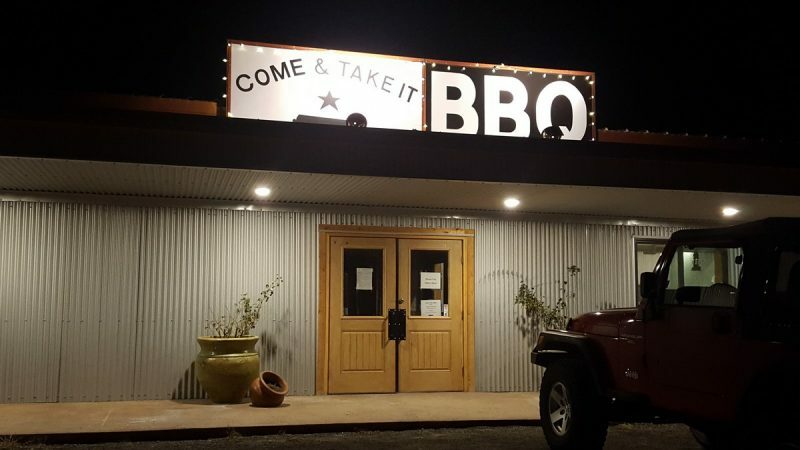 Its called “COME AND TAKE IT BBQ“.They are open only for dinner on Fridays and Saturdays, and on Sunday from 11.30am for lunch. Lucky us! we were there on Friday. Unfortunately, we were late and they had already ran out of brisket & potato salad 🙁 . 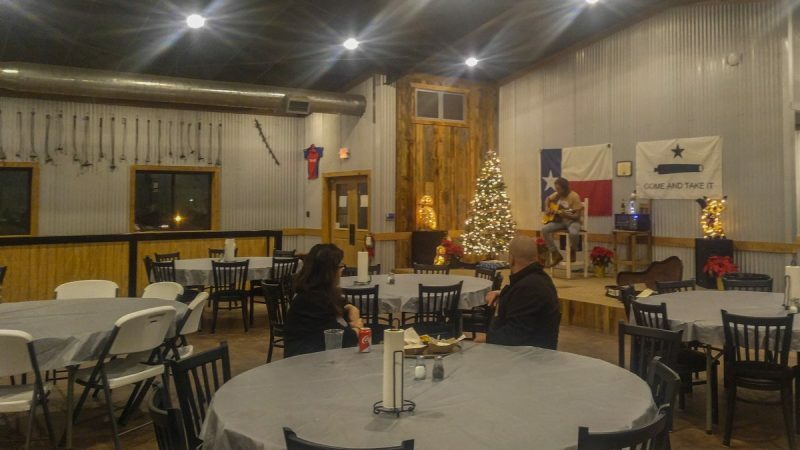 Unlike any other restaurant, this place was one huge hall with serving counter on one side, bar counter area on the other, a stage for live music and lots of dining tables. The ambience was colorful, warm and welcoming with good music. 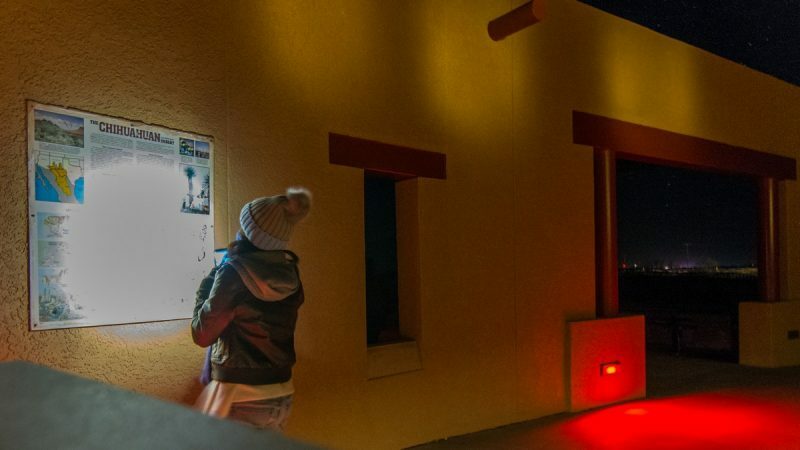 Next day morning, we stopped at this place called “MARFA BURRITO” for our breakfast. Again, yelp helped us! We were so glad to find this place. Its a cute little place (not like a formal restaurant), with limited tables, small opening/door to order your food with a loooong Queue. But it was totally worth the wait. 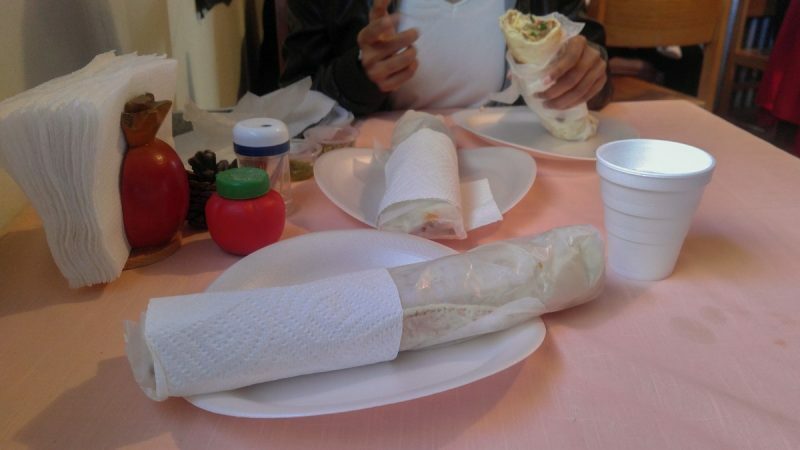 We had EGG+Chorizo, PRIMO and Asado burritos. All three were good but the best was “PRIMO”. How can something with no meat in it taste so good?? 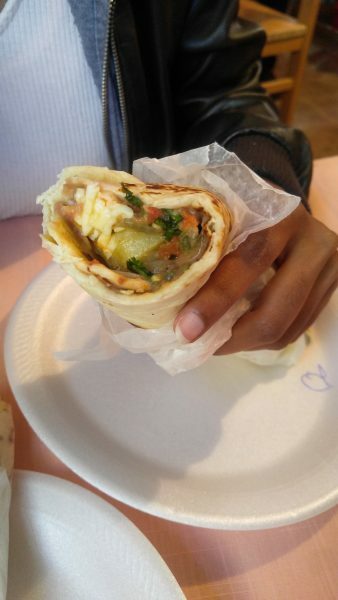 It has potato, beans, cheese, onion, tomato and salsa. We loved it so much, that this became the highlight food on our whole Texas trip. They have free coffee, tasty salsa & green sauce on the counter to enjoy your burritos. You should definitely visit this place. and wait!. 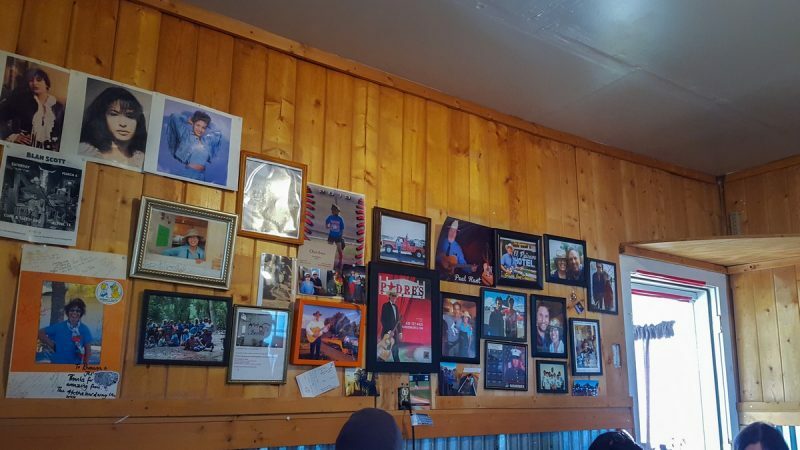 look at the right corner on the picture below, Matthew Mcconaughey was here!. Looked like he is a regular visitor to this place. (had many pics of him on the wall). After this we headed to the BIG BEND RANCH STATE PARK to enjoy our Christmas eve camping!!! 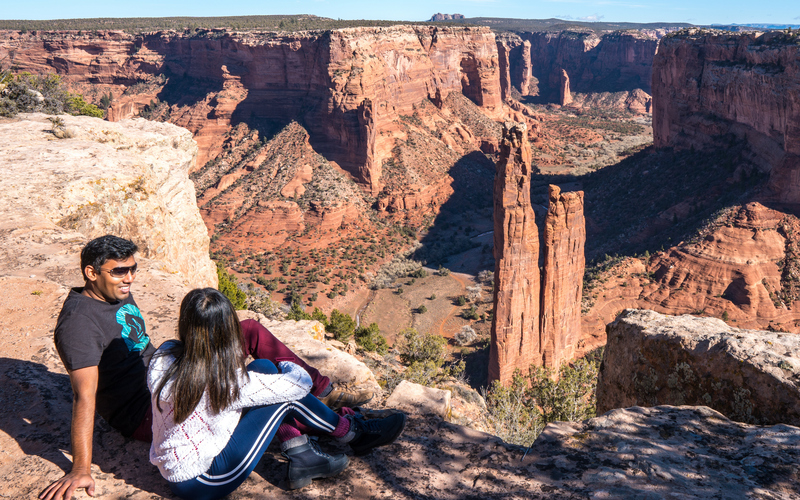 Visit its blog to get an idea about the place, where we camped and some of its beauty that we captured.